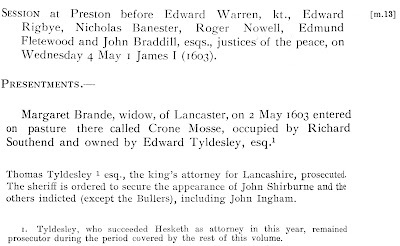 Thomas Tyldesley  esq., the king's attorney for Lancashire, prosecuted. The sheriff is ordered to secure the appearance of John Shirburne and the others indicted (except the Bullers), including John Ingham. 1. Cases under Stat. 8 Hen. VI, c. 9. 2. 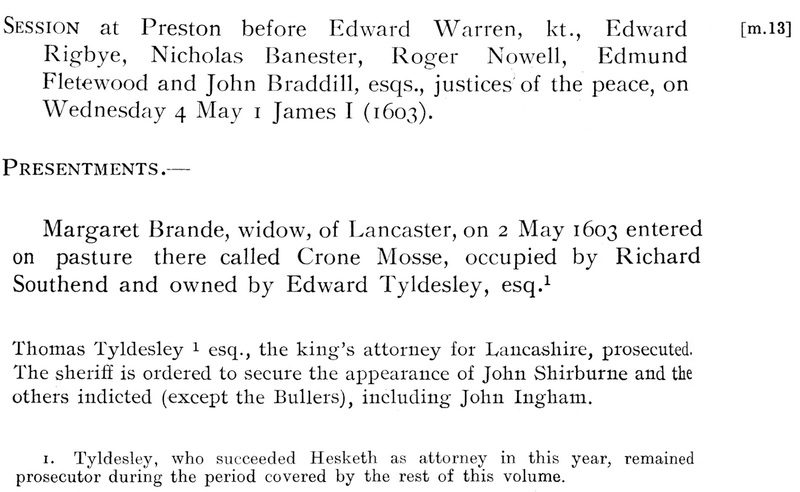 Tyldesley, who succeeded Hesketh as attorney in this year, remained prosecutor during the period covered by the rest of this volume [FN1].